Rich S. Falcone | Littler Mendelson P.C. 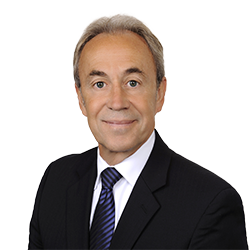 Rich has achieved many significant results in litigation on behalf of his clients during his 30 years of practice, including several cases in which he represented a national grocery chain. In the first, he obtained a motion to declare the plaintiff a vexatious litigant, and in the second, the court dismissed the case and awarded the client recovery of some of its attorney's fees. He also handled a case for a major bank, in which he obtained the dismissal of a wage and hour class action, and another in which the court granted his motion for summary judgment, dismissing the case and awarding the client recovery of its costs. He also gives litigation overview presentations for human resources professionals and managers. In law school, he was associate editor of the Santa Clara Law Review. Whose Law Controls When Employers Have a CHOICE OF LAW Provision in an Employment Contract?